Below are a few helpful links to guide you through the outcome measures that we have developed as part of the Power Mobility Outcome Toolkit. Learn more about the target populations, the administration process, as well as how to score the data! The WheelCon measures wheelchair confidence in 6 conceptual areas: (1) negotiating the physical environment; (2) activities performed in the wheelchair; (3) knowledge and problem solving; (4) advocacy; (5) managing social situations; (6) managing emotions. There are two versions currently available: Wheelchair Use Confidence Scale for manual wheelchair users, WheelCon-M, (63 items) and Wheelchair Use Confidence Scale for powered wheelchair users, WheelCon-P (59 items). Both of these versions are available in both English and French. Development/validation of a WheelCon-M Short Form and a caregiver version are also underway. Population: Any adult user of a manual or powered wheelchair. Time to Administer: ~ 11 minutes. 1. Rushton PW, Miller WC, Kirby RL, Eng JJ, Yip J. Development and content validation of the Wheelchair Use Confidence Scale: A mixed-methods study. Disabil Rehabil Assist Technol 2011; 6:57-66. 2. Rushton PW, Miller WC, Kirby RL, Eng JJ. Measure for the assessment of confidence with manual wheelchair use (WheelCon-M) version 2.1: Reliability and validity. J Rehabil Med 2013; 45: 61-67. The CATOM is a 18-item outcome measure that was constructed based on a conceptual framework of outcomes for caregivers of assistance users (Demers et al., 2009). It measures the caregiver’s perception of the impacts of AT in his or her life. It may also be used to assess change between assessment and reassessment after an AT-related intervention. The CATOM-PW is an adaptation of the CATOM. The first part of the CATOM-PW version identifies and enumerates all of the care recipient's wheelchair-related activities for which the caregiver provides assistance. It then measures (14 items) elements of burden associated with those wheelchair-related activities. The second part (4 items) captures the caregiver’s perceived burden of all of the assistance they provide and overall quality of life. Population: The CATOM was initially developed and used with caregivers of older adults having a physical disability, using a variety of mobility and self-care-related AT. The CATOM-PW was adapted for studies involving caregivers of older PWC users. Type of Administration: The CATOM (and CATOM-PW) is administered in a structured interview format. It was developed in Canadian English and Canadian French. It was tested for test-retest reliability with face-to-face data but may also be used over the phone. Time to Administer: On average, it takes 13 minutes to administer ± 7 minutes. Individual items are rated for frequency of elements of burden. It there are follow-up assessments, individual items may also be rated for change in frequency with optional questions. Scoring: Total scores are obtained by summing up frequency responses. For wheelchair-related help: scores ranging from 14 to 70 (higher score indicating less burden). Change scores are described at the individual level, since the psychometric properties for total change scores are not yet available. Interpretation: For CATOM-PW, based on the assessments of 27 caregivers of older PWC users, the most common values were 56 ± 8 (wheelchair-related help) and 14 ± 4 (overall help). Minimal detectable change scores and cut-off scores are not yet available. However, for CATOM, an intervention study showed increased scores from baseline to reassessment, from 51 ± 11 to 61 ± 7 (for activity specific help) and from 14 ± 4 to 15 ± 4 (for overall help). 1. Demers L, Fuhrer MJ, Jutai J, Lenker J, Depa M, De Ruyter F. A conceptual framework of outcomes for caregivers of assistive technology users. Am J Phys Med Rehabil. 2009;88:645-655. 2. Mortenson WB, Demers L. (2011). End-user involvement in the development and evaluation of the caregiver assistive technology outcome measure. In G.K. Gelderblom, M.Soede, L. Adriaens, & K. Meisenberger (Eds.) Everyday technology for independence and care (pp. 1043-1050). Fairfax, VA: IOS Press. doi: 10.3233/978-1-60750-814-4-1043. Paper presented at the European Conference for the Advancement of Assistive Technology, Aug., Maastricht, Netherlands. 3. Demers L, Mortenson B, & Fuhrer M. (2012). Measuring the impact of assitive technology on family caregivers. In: M.Scherer, S.Federici (Eds), Assistive Technology – A Handbook for Professionals in Disability, Rehabilitation and Health Profession, Chapter 5. NY : Taylor & Francis. pp. 83-100. 4. Mortenson B, Demers L, Fuhrer M, Jutai J, Lenker J, DeRuyter F. (2013). Effects of an assistive technology intervention on older adults with disabilities and their informal caregivers. American Journal of Physical Medicine and Rehabilitation, 92, 297-306. 5. Mortenson B, Demers L. et al. (submitted June 2014). 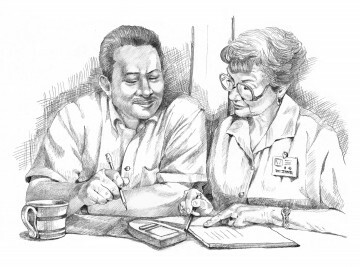 Development and Preliminary Evaluation of the Caregiver Assistive Technology Outcome Measure. Journal of Rehabilitation Medicine. Wheelchair Skills Test (WST) and Wheelchair Skills Test – Questionnaire (WST-Q). Population: Any user of a manual wheelchair, powered wheelchair or scooter or any caregiver of a user of a manual or powered wheelchair. Type of Administration: There are objective versions, questionnaire versions (paper) and questionnaire versions (computer-assisted testing). Time to Administer: The objective tests take about 30 minutes to administer. The questionnaire versions take about 10 minutes. Response Scale: Individual skill scores (0-2), total percentage scores (0-100) for capacity; individual skill scores (0-4), total percentage scores (0-100) for performance (WST-Q only); and comments. Interpretation: In light of specific evaluation criteria provided in on-line manuals. Description/Use: Self-report measure of the impact of mobility devices - such as prosthesis, cane, walker, scooter, manual wheelchair, power wheelchair - on the level of activity and participation of the user as defined by the International Classification of Functioning, Disability and Health. The ATOP item bank, which was developed based on Item Response Theory, comprises 68 items that cover physical performance (PP), instrumental activities of daily living (IADL), discretionary social participation (DSP), and social role participation (SRP). The tool allows comparison of the level of activity and participation “with devices” and “without devices” with differential scores. Population: The ATOP was initially developed with 1037 adult users of mobility devices aged between 18 to 80 years of age. The conditions that produced mobility impairment in this sample were cerebral palsy, multiple sclerosis, spinal cord injury and stroke. Type of Administration: Self-report with short forms (7 items each), long form (68 items) or computer-adaptive testing (number of items vary); validated for telephone administration. The Canadian-French version was validated for telephone administration using a parallel back translation procedure. Time to Administer: Administration by interview using the computer-adaptive version with CanWheel participants took an average of 10 minutes to administer the “with device” items and 15 minutes for the “without device” items. Are you able to _________(name of the activity or participation item)? Scoring:The computer-adaptive testing version generates a T-score that ranges between 0 and 100, with a mean of 50. Interpretation: Interpretation based on the comparison of T-score with the general population of mobility device users. 1. Jutai JW, Southall K (2013). Measuring the Effectiveness of Assistive Technology on Active Aging: Capturing the Perspectives of Users, in Technologies for Active Aging (New York: Springer), pp. 95-104. 2. Auger, C., Jutai, J.W., Miller, W.C. Measurement properties of the ATOP/M for middle-aged and older adults who use power wheelchairs. Canadian Association on Gerontology, Vancouver, BC, October 20, 2012. 3. Jutai JW, End-user participation in developing the Assistive Technology Outcomes Profile for Mobility (ATOP/M), In: Everyday technology for independence and care, GJ Gelderblom et al., Amsterdam, IOS Press, 2011, 1026-1032. 4. Bode RK, Jutai JW, Heinemann AW, Fuhrer MJ., The Assistive Technology Outcomes Profile for Mobility (ATOP/M): Development of activity limitations and participation restriction item banks. Archives of Physical Medicine and Rehabilitation, 2010, 91(10), e36. Please refer to our Project II page to read more about the development, purposes and objectives of these outcome measures.